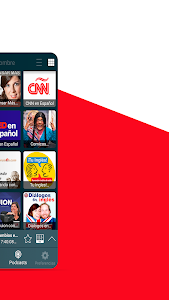 Radio Peru is a free radio app with more than 400 radio stations. 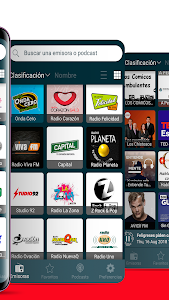 With a modern, beautiful and easy to use interface, Radio PE gives you the best experience when it comes to listening to FM radio and internet radio. 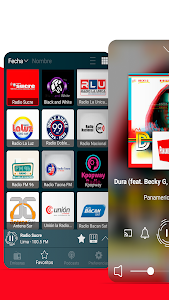 With Radio Peru you can listen to the best online radio stations and follow your favorite shows and podcasts for free. You can choose amongst sports, news, music, comedy and more. and many more FM radio stations. 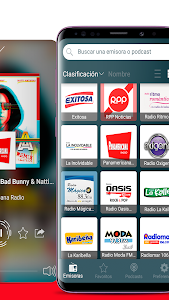 For a quick and more effective communication, if you experience any problems or if you can't find the station you are looking for, send us an email to [email protected] and we will try to add that radio station as soon as possible, so that you don't miss out your favorite music and shows. If you like the app, we would appreciate a 5 stars review. Thank you! Note: An internet connection, 3G/4G or WiFi network is required to tune in radio stations. There may be some FM radio stations that do not work because their stream is temporarily offline. 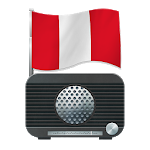 Similar to "Radio Peru: FM Radio, Online Radio, Internet Radio"